A great way to spend a warm and sunny day in Prescott AZ! I hadn't seen my favorite band, the Keltic Cowboys, play in a while and I heard they were going to be performing at the Highland Games in Prescott, so I decided to go up early and hike the Groom Creek Trail on Spruce Mountain (near Prescott) in the morning, and then headed over to Watson Lake/Granite Dells to watch the games and get my Irish Rock on!!! It was an awesome day!! ps...Frank, I posted lots of pictures of you and the rest of the Keltic Cowboys. Feel free to copy and paste them if you want. The larger the picture size you choose to view from the drop down menu when you hover over the picture, the better the copy resolution will be. Thanks for a great show!! 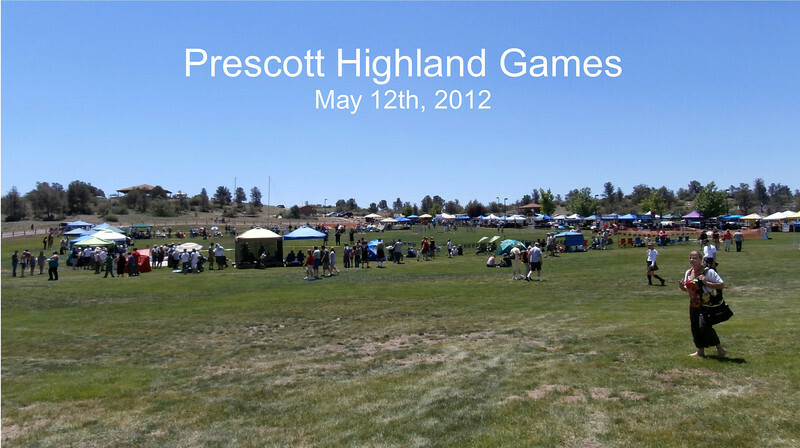 The Prescott Highland Games were at Watson Lake Park, off hwy 89A. I didn't realize the park had all this space away from the lake.